Brian Zambrano, a full-stack engineer at Very, authored the book "Serverless Design Patterns and Best Practices," published by Packt Publications. Click to learn more. 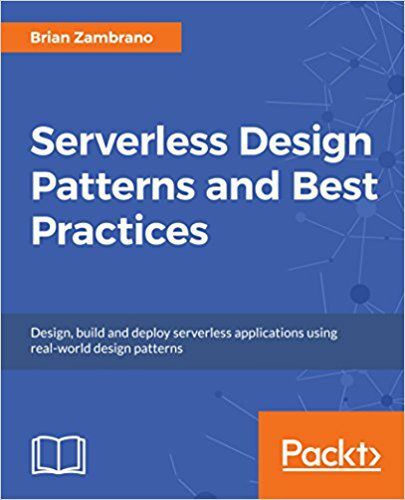 Today, Packt Publications released the book "Serverless Design Patterns and Best Practices," written by Very engineer Brian Zambrano. Serverless applications are gaining momentum in companies of all sizes, and for good reason. Serverless-based applications handle many of the problems developers face when running systems and servers. Additionally, the serverless pay-per-invocation model can bring drastic savings. Though it's straightforward to create a basic serverless application, it's critical to design and structure your software correctly to ensure its success as it grows in complexity. In this book, Brian presents several familiar patterns that can be adapted to run in a serverless environment. The book gives serverless patterns for web applications, data processing, big data, mobile, and Internet-of-Things to name a few. Additionally, readers will learn which patterns fit specific types of problems and how to ensure your application is scalable, performant, fault-tolerant, and well-tested.